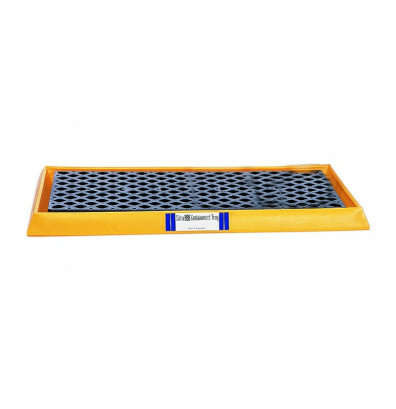 Ultratech 2352 containment tray with grating offers all polyethylene construction that won't rust or corrode. 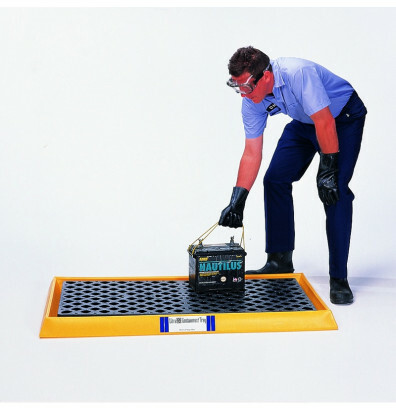 2' x 4' grating elevates containers from spilled liquid. Well suited for spill containment of 5 gallon pails, batteries, safety cans, dry cleaning waste drums, and leaky machine parts. Meets EPA Container Storage Regulations for small packages. Spill capacity of 14 gallons.